Inspired by ancient pottery design is the bold and beautiful Trellis Umbrella Stand, made from solid, glazed ceramic. 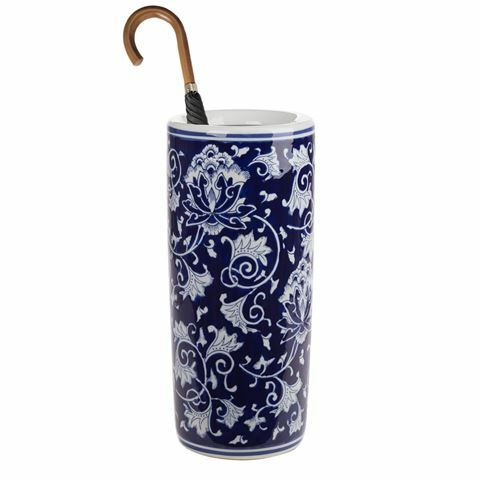 Perfect for holding your umbrella or large, dramatic bouquet of flowers, its blue and white colour scheme recalls the porcelain pieces mastered by Chinese artisans during the Ming Dynasty, many centuries ago. Made from ceramic with a glossy glaze. Features an oriental floral design. Dimensions: 21cm (w) x 46cm (h).